Looking to buy safety polo shirts in Rochester NY, Ithaca NY, and Western NY at competitive prices & with exceptional service? 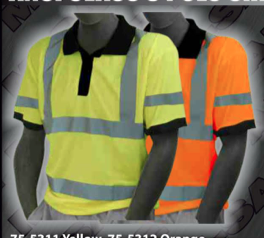 The Duke Company proudly carries the finest Safety Shirts – ANSI Class 3 Polo Shirt in High Visibility Yellow and High Visibility Orange. A professional polo-style look for the job site. Birds eye material for essential breathability from the moisture wicking material.